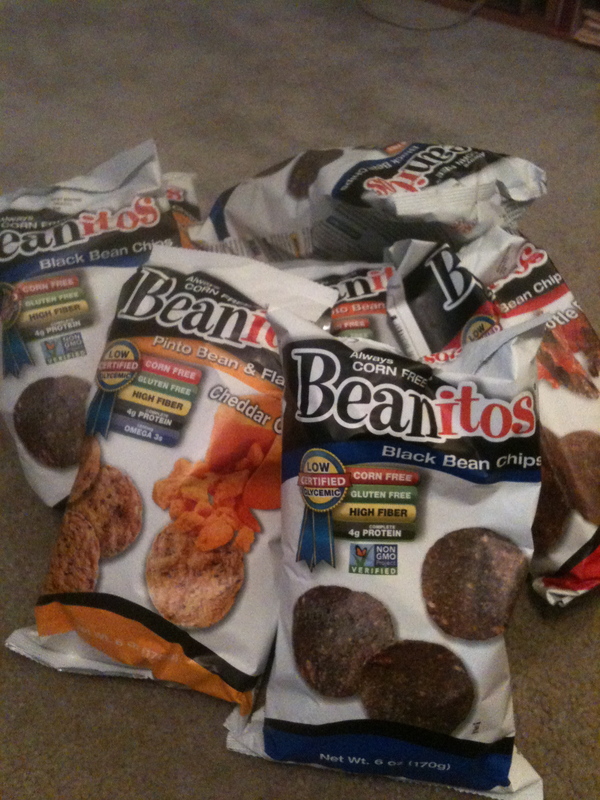 Eat yo’ Beanitos | Do the twisted. If you know a thing or two about me, it’s that I love chips. I eat them so much, people tell me I have a chip on my shoulder, which I usually do in the form of a crumb. So when I got word that my friend April (whom I’ve never met, but I know we would THROW IT DOWN) aka @beanitosapril, was working for a new chip company called Beanitos, I asked her to spill the beans. Turns out, they are made with whole beans and not a single kernel of corn. I obviously had to stick my head in a bag. Lo and behold, a few days later, they arrived at my doorstep. As usual, my head was too big to fit in the bag and I had to eat them with my hands. Now if you are a normal human being, you might think that since they’re made from beans, you will be blowing. it. up. Let me tell you something. If there is anyone that would, it’d be me. It’s been more than few hours since I’ve enjoyed a bag, and I haven’t broken wind once. It’s actually impressive. 1. They won’t make you a fat cow. As I said earlier, Beanitos are 100% Corn Free. Since corn is fed to cows to fatten them up, you don’t have to be Jenny Craig to see the link between corn and obesity in humans too. 2. 10 chips = 5 grams of fiber. It seemed appropriate to make this one #2. Besides the obvious, fiber makes you feel full, so you’ll be able to put down the bag. 3. They are gluten free, which makes a lot of people happy as they shoot Beanitos crumbs out of their mouth while screaming and celebrating for being able to eat yummy chips. 4. They have good protein. And who doesn’t love protein? 5. Beanitos are non-GMO, so you won’t find any genetically modified ingredients in their chips. Only the good, pure stuff. Better luck growing a 3rd eye somewhere else. Beanitos taste great with salsa, guacamole, or even as a base with some loaded local ingredients for nachos. You could eat them naked as a snack, but I’m a sucker for dippin’. Served with a beer optional, but highly recommended. Follow Beanitos on Facebook and Twitter. Hit up @beanitosapril and tell her I said hello. She rocks. Now go get you some! COOPER! Get those beans off your face. These sound delicious. I need to try them. Do you know where they sell them? What was your favorite flavor fav? And would you mind moving out to CA or France to help me find cool products out there??? Thanks. I really liked the Chipolte BBQ by itself and the Pinto Bean + Flax with salsa! Only if we make it into a video talk show and have blind taste tests and stuff. Then you shall find me in a basket on your front step one day. 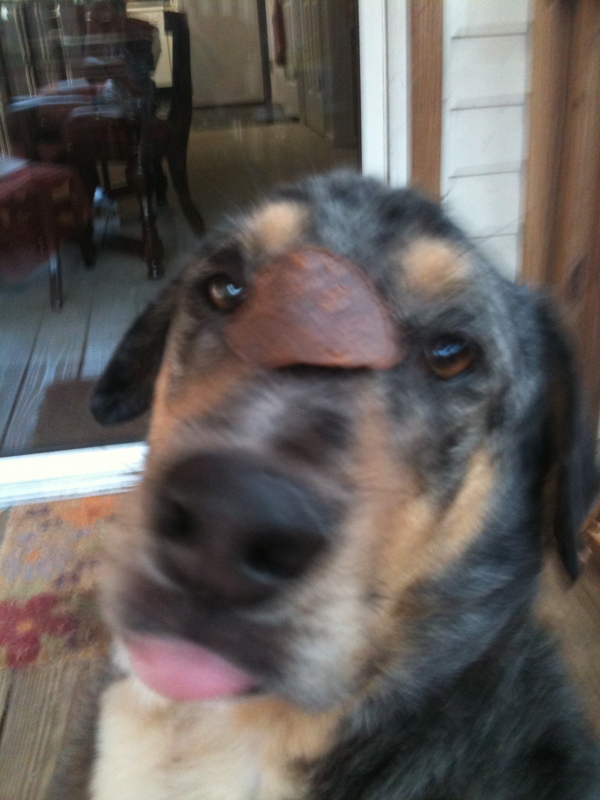 I need to try those cookies you talked about on Facebook. What were they called? But what if you jokingly taste couch cushions and suddenly become addicted to eating the stuffings of all cushy furniture?!? 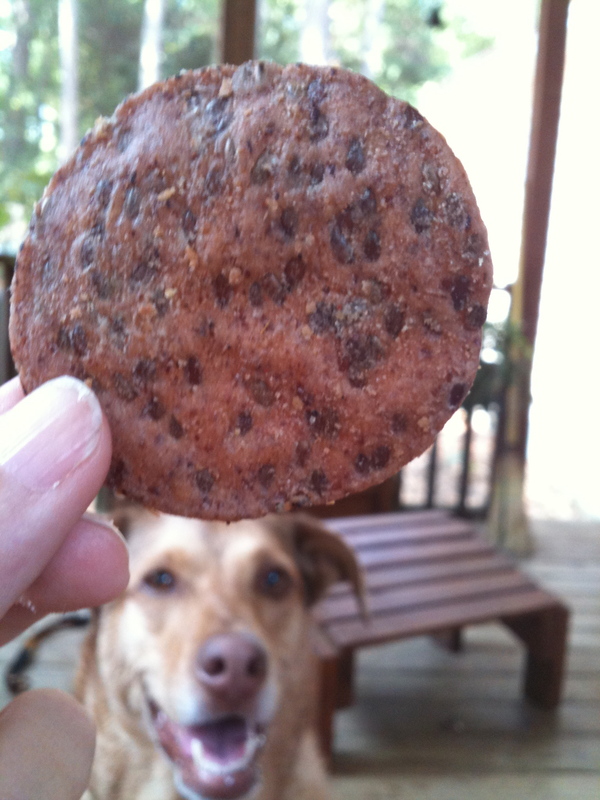 http://www.thecravory.com/ ~ absolutely da bomb for cookies!!! Well…then I guess we should expect a lot of people to sit on our laps as we would become really cushy too. Our skin might even change to plaid or suede. I’m going to see if I can order online and try some! Which ones do you like?